Job Purpose: To assist the Senior Management Team in leading the Finance department functions for timely financial reporting and ensuring that internal controls are in place to safeguard assets, whilst providing support to programme teams in a prompt and efficient manner in order to achieve PSI Tanzania objectives. Daily oversight of financial operations by monitoring that the standard operating procedures, systems and controls are working effectively and in an efficient manner. Forecasting of cash needs and ensuring availability of operating funds for PSI Tanzania. Ensuring document reviews and approvals are in accordance to the Approved Authority Matrices in processing transactions in Finance department. Verifying and approving Financial Accounting Transactions in the various online payment systems. Reviewing transactions before posting to the General QuickBooks Enterprise (QBE) ERP system. Manage performance of Financial Accounting Staff who report directly to the Finance Manager. Analyzing and verifying Monthly Financial Reports before approval by the Senior Management Team and ensuring timely submission of the same to PSI Head Office in Washington DC. Monitor, analyze and verify GL Accounts in QBE proper reconciliation of all Sub-ledgers to the General Ledger. Ensure Banks are monitored and reconciled daily. Monitoring, managing and regularly analyzing finance procedures to ensure adherence to established policies and avoid internal control breakdowns. Approve all mobile money payments promptly within specified thresholds and ensuring that reconciliations are done monthly. Conducting regular risk assessments and updating the risk register for the finance function. Ensure compliance with PSI and Donor financial regulations and requirements on daily basis. 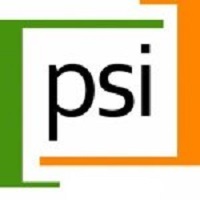 Assist in maintenance and updating of PSI Tanzania Finance Policies and Procedures manual. Preparation of consolidated financial statements for PSI Tanzania. Preparation of Donor Specific financial reports. Coordination of internal and external audits. Assist in supporting users and overseeing the performance of QBE ERP system. Maintaining and ensuring adherence to the service level agreement for the finance function. Performance management, mentorship and capacity building for accounting direct subordinates. Any other duties as assigned by the Senior Management Team. Detailed curriculum vitae showing contact address, email, and daytime mobile phone number (s) and three (3) referees, ONE being your last employer. Application will be considered valid, if sent/received before 1700hrs, Monday, 12th November, 2018. Please note that only short- listed candidates meeting the above requirements will be contacted. Send your application to [email protected], in MS Word or PDF file. Indicate the name of position on the subject line of your email.